In recent years, ride-hailing applications such as Airbnb, Uber, and Lyft have disrupted the transport industry, leaving taxis. These brands are spearheading the broad sharing economy, which is one of the most dynamic sectors of the decade – from 14 billion USD in 2014 to 335 billion USD in 2025. However, while the success of start-up companies is undeniable, the term “ridesharing economy” seems generous given their business models. They act as brokers and only link two parties on the basis of supply and demand. Ride-hailing have created a huge gig in the market, which did not exist before, but at a cost to users. Airbnb expects profits of more than $ 3 billion in the next two years. A significant portion of this amount comes from fees that the platform levies on its users on both sides of the transaction. The structure of the Uber pricing model is similar to this one. The current sharing model poses other problems. Uber entered the hot water in 2017 when it was revealed that the company had concealed a significant data breach affecting passengers and drivers on the platform. Airbnb and Lyft have also been involved in controversy. Companies mobilize capital, quickly build monopolies by expending money, spending quickly on the driver and customer side, and thus exploit the end-users associated with the platform. And once the monopoly is created, customers and drivers are exploited with inflated prices/fares, resulting in higher profit margins. The emergence of the block and decentralized markets will create a new world for the transport economy. One of the key features of decentralization is the removal of intermediaries such as brokers, which could quickly make the roles of traditional sharing societies redundant. Removing intermediaries also creates a true peer-to-peer connection, precisely in the sense that Uber and Airbnb try to avoid by limiting communications. A peer-to-peer connection using a blockchain would allow users to connect and decide between themselves the value and conditions of the sharing exchange. This is the model adopted by DRIFE, the next-generation decentralized ride-hailing platform. DRIFEOne is a new ride-hailing network, combining the best features of blockchain and ridesharing. DRIFE transforms this model by eliminating the middleman and replacing it with blockchain technology. With DRIFE, drivers, developers, and users control transactions, own data and securely transact through a peer-to-peer network. With no middleman fees, DRIFE passengers pay less, but they have more customization and control. DRIFE introduces the unique 3-Way Incentivized Economy for Drivers, Developers, and Riders. DRIFE introduces will offer two payment modes: peer-to-peer and gamified. The peer-to-peer mode will let drivers accept payment directly they want to work out with their customers. 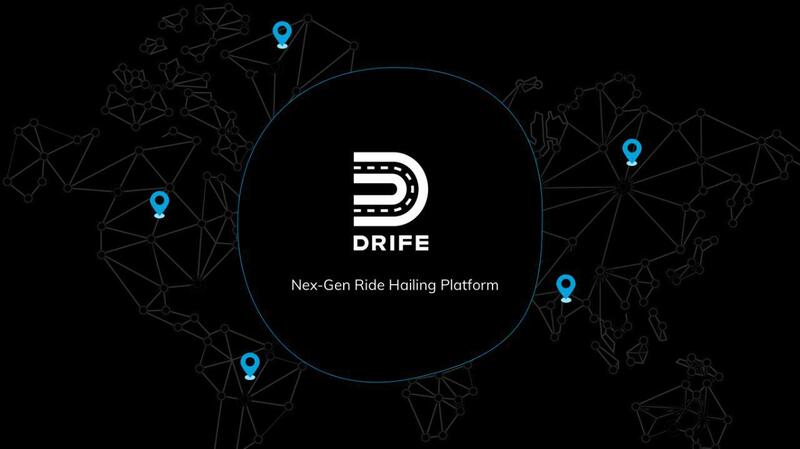 The DRIFE platform will provide drivers the facility to make a sustainable income, DRIFE introduce the opportunity to earn incentive on bringing a new driver to the platform. Where riders are offered with fair pricing and complete security of rider with multiple solutions which are currently missing from the ride-hailing ecosystem which is Psychological Test for each Driver, Peer-to-peer SOS, Touch ID, Ride notification and Security Observational Safety Mode. These features will assure the utmost security. Developers of Ride sharing economy are often overlooked and that’s the reason they often lack motivation, whereas they can be an asset in improving every ride and optimizing the platform, they are the core of the platform, DRIFE offers an incentive model for developers. DRIFE is conducting its IEO with EOSex, a fast-growing community-based hybrid exchange that offers centralized and decentralized trade. Investors can purchase their DRF tokens through their IEO Exchange, EOSex. DRIFE IEO will include four rounds, where each round offers a bonus for their early Investors, The bonus for the First Round of IEO (Private Sale) was 20% which has successfully ended, Now IEO is in its phase 2 (Pre Sale) offering Bonus of 15%, the second round is supposed to proceed till April 16th. Bonus for round three will be 10%, Dates of round three are yet to be confirmed by DRIFE team. DRIFE is an innovative new model of ridesharing which will lower prices, give control back to the drivers, and remove the risk of the data breach by giving data ownership directly to users. To find out more visit the DRIFE website or read the whitepaper.